Now in its 14th year, TNOTS is an award-winning event that brings families and businesses together for eight summer evenings. 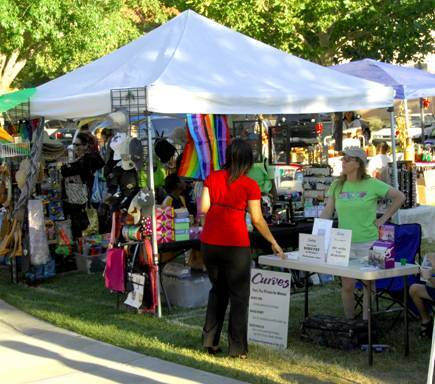 PALMDALE – The City of Palmdale’s recreation and culture department has begun accepting applications for interested vendors to participate in Palmdale’s popular annual Thursday Night on the Square (TNOTS) events for 2014. Craft/commercial vendors pay for $150 per booth space. Now in its 14th year, TNOTS is an award-winning event that brings families and businesses together for eight summer evenings. 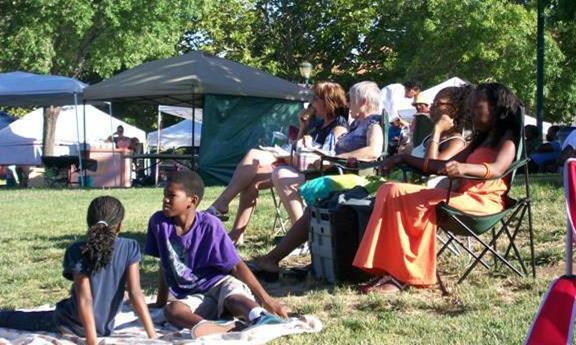 Each event features fun for the entire family, including live entertainment for adults and children, themed children’s activities, creative arts and crafts and delicious food in an open-air market. Food/farmer vendors for $200 per booth space. Non-profit organizations may also apply for an unpaid free space, which includes odd shaped, smaller spaces at no charge. Vendors are responsible for providing their own tables, chairs, EZ-Ups, banners, sandbags and supplies. Interested persons and organizations may download applications by visiting www.cityofpalmdale.org/departments/parks/tnots. The deadline for applications is May 22 or until all spaces have been filled. Vendors are encouraged to apply early to ensure that a space will be available. To learn more about how your business or organization can be a part of TNOTS, call at 661-267-5611 Monday through Thursday, from 7:30 am to 6 pm.